A Brooklyn, New York bookstore is planning an event for people angered by the confirmation of Brett Kavanaugh to the Supreme Court: A public hex. Witches will host Oct. 20 event, organizer Dakota Bracciale said. The ritual has sold out of tickets and attracted the interest of thousands. It's intended to "to make Kavanaugh suffer," Bracciale told Newsweek. About 60 people will be in attendance at the event, Bracciale told USA TODAY on Saturday. The ritual will include effigies, coffin nails, graveyard dirt and – of course – a spell. Bracciale said the bookstore has organized hexes before, including three last year on President Donald Trump. Not everyone in attendance will believe in the power of the hex – and that's okay, according to Bracciale, who said the event is in part a means of spiritual or emotional catharsis. Kavanaugh isn't the only subject of the gathering's anger. Those in attendance will be targeting "all rapists and the patriarchy which emboldens, rewards and protects them," according to the hex's Eventbrite page. After the hex, a second ritual will be held, according to the listing: "The Rites of the Scorned One." It will "validate, affirm, uphold and support those of us who have been wronged and who refuse to be silent any longer." Kavanaugh's controversial appointment to the Supreme Court has inspired protests after Christine Blasey Ford publicly accused the judge of sexual assaulting her in high school. 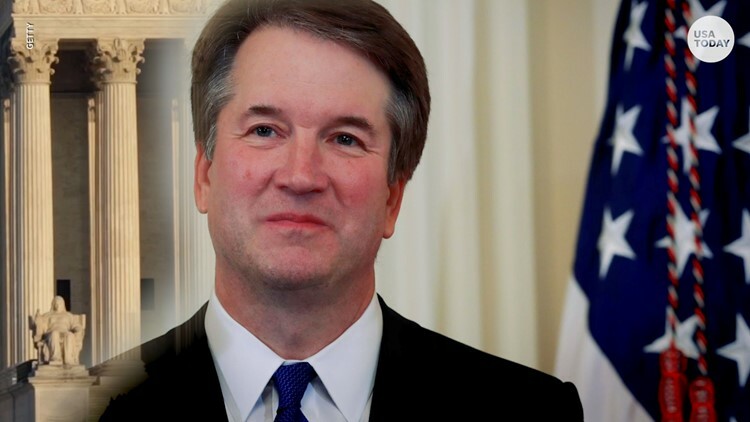 Kavanaugh has denied the allegation and was confirmed to the court by a historically narrow margin on Oct. 6. Bracciale told Newsweek that those in attendance will be "basically Antifa witches ... There are a lot of angry people who are righteously filled with rage that are going to take back our country." Many of the people in attendance will be sexual assault survivors, Bracciale believes based on feedback from planned participants. Witchcraft has historically been an outlet for oppressed people to “take matters in their own hands" according to Bracciale. Tickets for the event cost $10. Organizers say one-quarter of ticket proceeds will go to the Ali Forney Center – a group that supports homeless LGBT youth – and one-quarter will be donated to Planned Parenthood. Bracciale suggests that those who support the ritual donate to those groups if they are unable to attend. Witchcraft mixed with political overtones has become an increasing trend, according to an October report by Vox. "Magic as self-care," the article describes the phenomenon.